Teardrops n Tiny Travel Trailers • View topic - How to deal with a boat: crazy idea? How to deal with a boat: crazy idea? First post, so please excuse my ignorance. I just bought a new truck in December (Nissan Titan king cab 1/2 ton, 6.5' bed) and shortly thereafter wished I had gone 3/4 or 1 ton so I could have added a decent used truck camper. But I'm liking the truck so far, so other options will need to be investigated. I'm generally a backpack or primitive camper, but I recently retired and now have the luxury of taking some fishing trips. I went to Lake Seminole in January and stayed in a state park campground in a waterfront space. This is important because it means I can launch my boat (17 ft aluminum) and just pull it up on the beach every night and not have to trailer it. Unfortunately it was pretty darned unseasonably cold that week and my tent/sleeping bag really weren't up to the task. That's when I started investigating truck campers and found out almost none of them actually are light enough to use on a 1/2 ton truck without hitting or going over the weight capacity. So that leads me to the question of how do I tow a boat and a camper together. 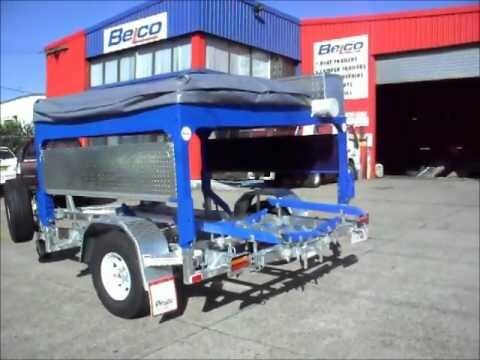 Buying a fifth wheel and double towing is not an option because it's not legal in many states. So I'm either going to have to buy a specialized truck camper for short beds (expensive) or try something else. That leads me here: how possible, practical or reasonable would it be for me to buy a 20 or 24 foot enclosed trailer and just jam the boat inside it while still on the trailer? Once I get there I could unhitch, drag out the boat and launch it, then use the trailer as a rudimentary camper shell with a cot, heater, etc? Does anybody do such a thing? How hard is one of these trailers to pull? Can one handle the weight of a ~1500 pound boat/motor/trailer combination? Is this just an idiotic idea? Re: How to deal with a boat: crazy idea? I might look into building your own truck camper before going the 8.5x22-24 route. 8.5 wide is a different animal to tow visually, and even if you could comfortably fit the boat in there, you'd end up in a cave when its out. Just googling DIY truck camper brings up a whole slew of resources. If you do decide on a trailer, I'd wall off the section you'd be sleeping in so you don't have to heat a mostly empty space when the boat is out. But in terms of your weight question, a trailer could easily handle that. If you're concerned, custom order one with larger than normal axels. How deep do you need to be to launch? Maybe just a set of rollers and a winch mounted inside the cargo trailer and/or possibly the ramp and forego the boat trailer? The floor of my 6 x 12 is about 18" high and the axle is 48" from the rear frame. With the ramp lowered to level with the floor you would gain 5'6" of length, and may not need to put the trailer in the water very deep. You could also have a set of sliding rails that would come out several feet if you wanted a barn door style. The key would be to keep the trailer relatively dry inside during launching and take out ops. Obviously you would need a trailer like 7 x 18 or more and that means dual axle but they would have the payload capacity you need. My 6 x 12 single axle has a pay load of 1665. Trailer is 1325 gvrw 2990. If you wanted to camp in there you might as well make it liveable. So depending on how elaborate you get say 500bs to 1500lbs or whatever you can afford/tow for customization of your camper and what ever it takes to handle the boat i.e. winch, rollers, rails etc.. Its not impossible, but it may be a lot easier to have a trailer with a nose gear and some tracks the would guide it in and out of the trailer with a winch. That way the Cargo could be used for other things and the boat would be independent and could also be towed without cargo trailer. Seems like a lot less moving parts and risk to camper if boat was launched from it's own trailer. Interesting idea though, please keep us informed if you decide to move forward with the concept. I had an even crazier idea but I figure it’s too expensive to even think about. It would be ideal if there were some sort of small camper trailer that had a ball and a “V” frame that extended behind it like a swallowtail. 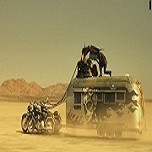 The camper and boat trailer could lock together as a single unit, then be uncoupled once I arrive. I’m not sure how that would work with two sets of axles so far apart. I assume there’s a reason you don’t see trailers with an axle in front and another in the rear except for farm wagons, with the tires binding in a turn because the front ones are getting pushed sideways. Such a custom rig would probably have to have a swivel front axle, correct? I can only imagine how much fun that would be to try to back up. not a popular idea but have you thought about getting rid of the truck and get a motorhome or remodeling a van ? I have thought about it but I already have a truck and if it wasn't such a problem selling it I would go that way. I have never been a trader but if your used to trading in a vehicle for something else I would go that route ? I know that probably didn't help? The land of crazy ideas with reasonable solutions welcomes you! on something that may or may not work for you. Every day I beat my own previous record for number of consecutive days I've stayed alive. Know what you mean about pulling a cargo trailer behind a 5th wheel. A friend of mine did exactly that. Got a hitch put on the back of his 5th wheel, put the cargo trailer "6 x 12" back there and took off. The hitch tore loose from the back of the 5th wheel and the only thing that kept it from being big disaster was his safety chains. Believe it or not he he had the whole thing reworked and tried again and the same thing started to happen, but he caught it. The back of those trailers are just not suited to pull anything. He had it done by what he thought was a pretty good hitch/welding shop. He has a big truck camper now and is shopping for a toy hauler. Moral of the story "Don't do it" even if it legal in your state. Last edited by phoenixbound on Thu Oct 11, 2018 2:54 am, edited 1 time in total. Smart enough to know that I still have a lot to learn. I would go for a more powerful truck, if not a big box type already then flatbed and make it so. GMC for reliability, 3500 marginal, C5500 could carry **and** pull anything even if bumper hitch. Avoid diesel though, ideally look for well under 200K. How about a "doghouse" added to the boat trailer? Small but tall enough to stand in, as wide as truck or trailer and deep enough to have bunk and some niceities.. say 6' x 6' x 6' ish? I thought about a car carrier with a three-walled "house" on the front and a rear wall that hinged down. Winch the boat into the back of the house and once the boat has been rolled off just flip up the rear wall and secure it in place. That's probably a better solution than the fully enclosed trailer with all the extra empty space, but it would be very interesting trying to roll the boat off--there's no way in the world you could detach it from the truck first or the trailer would shoot toward the sky as soon as the center of gravity of the boat went past the rear of the trailer axle! Maybe use a trailer dolly to roll it off on fairly level ground? What about building a foamy truck camper? I've seen a couple builds here over the years. Otherwise, I would just get a camper that can tow the boat. While some may be halfheartedly having some fun, others are ... well being others. mountains (that includes boat ramps). Best I can do for ya. Do something like this. Only with a box to sleep in. Or the tent over boat. Like Icon showed ya. Not sure you'd need a triple, but that's the idea. Maybe look at it from another angle. Instead of trying to accommodate your 17' boat, why not look at a different style boat? An inflatable would fit in the bed and a small trailer for camping hauled behind your truck.